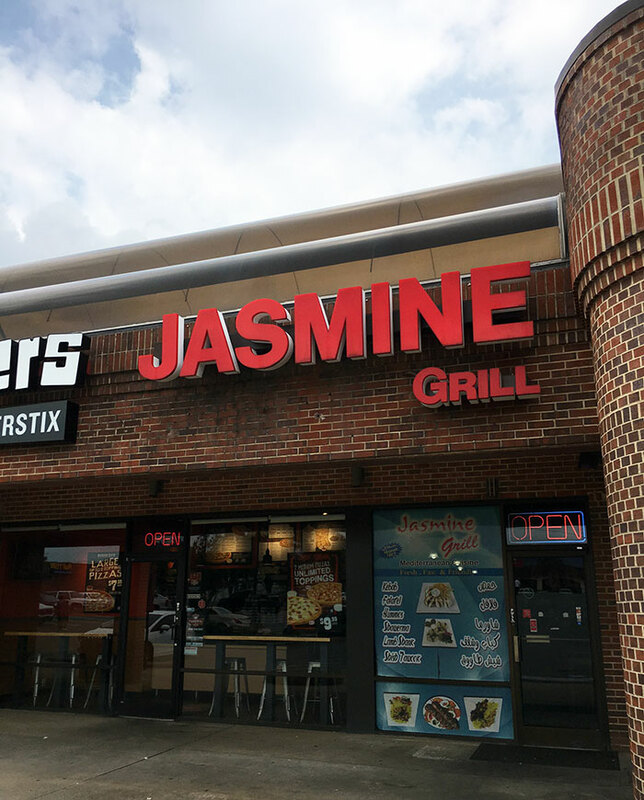 Located a few miles from Uptown on South Boulevard, you’ll find Jasmine Grill in a strip mall. 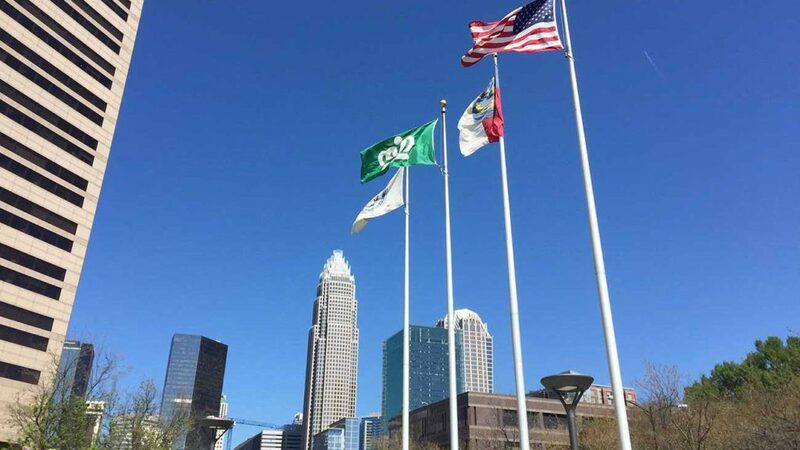 Their exact address is 5033 South Blvd Charlotte NC, 28217. Go inside. 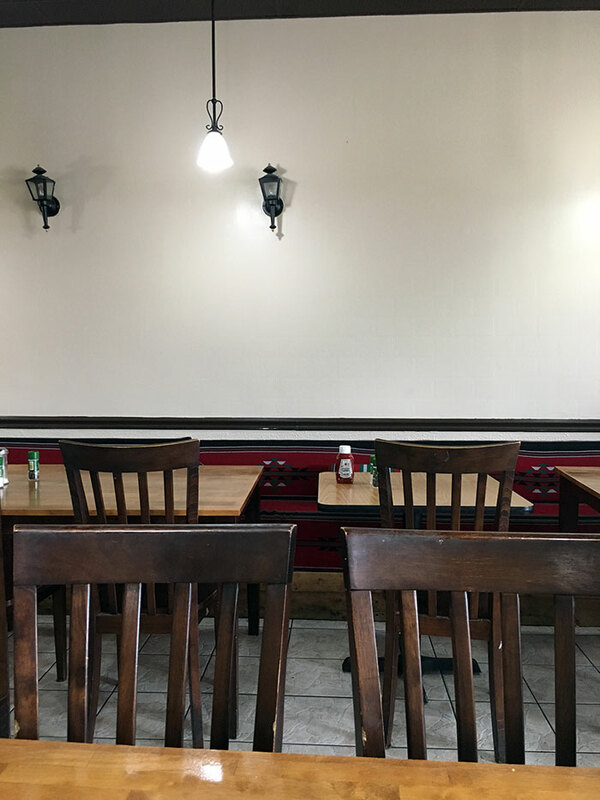 Seat yourself at a table, or go to the counter for takeout. It’s no-frills. 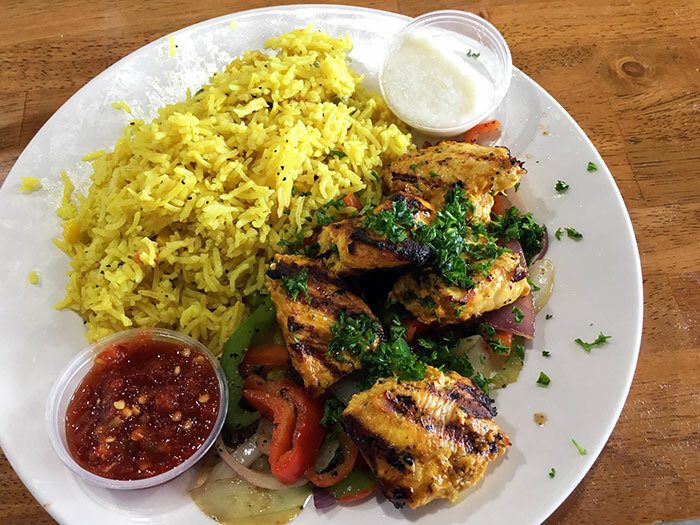 Order the $6.99 Chicken Kebab Lunch Special. It comes with lentil soup, salad and chicken kebabs with vegetables and rice. 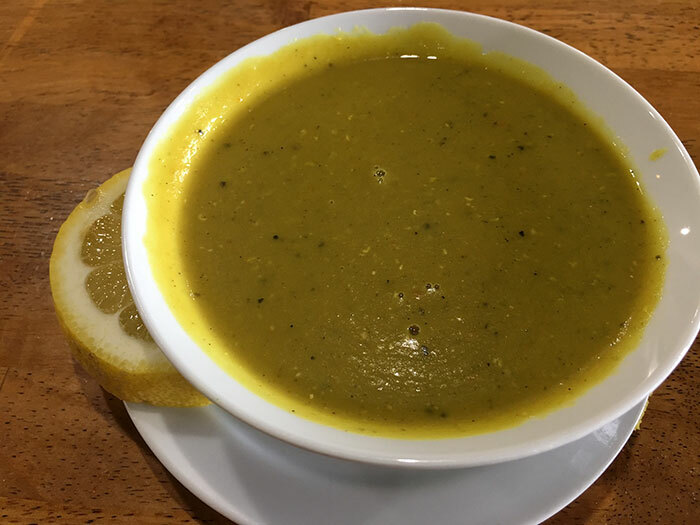 The lentil soup and salad will come out first. 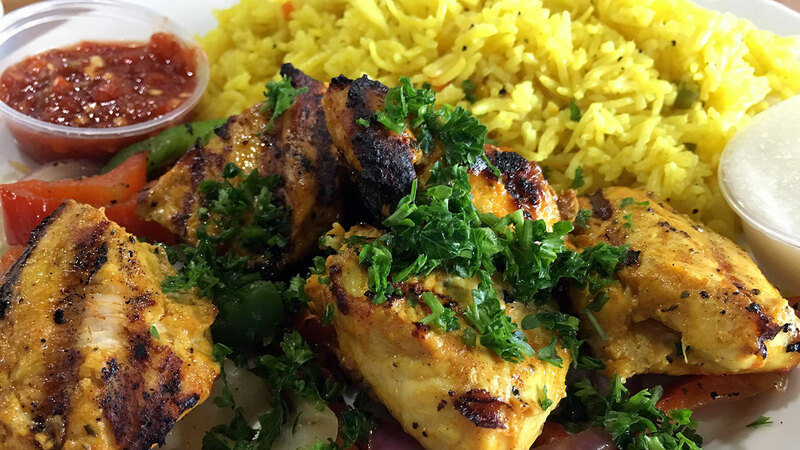 The Lunch Special is served from 11 a.m. – 3p.m. on Monday – Friday. On weekends and for dinner, you only get two sides and it’s $8.99. 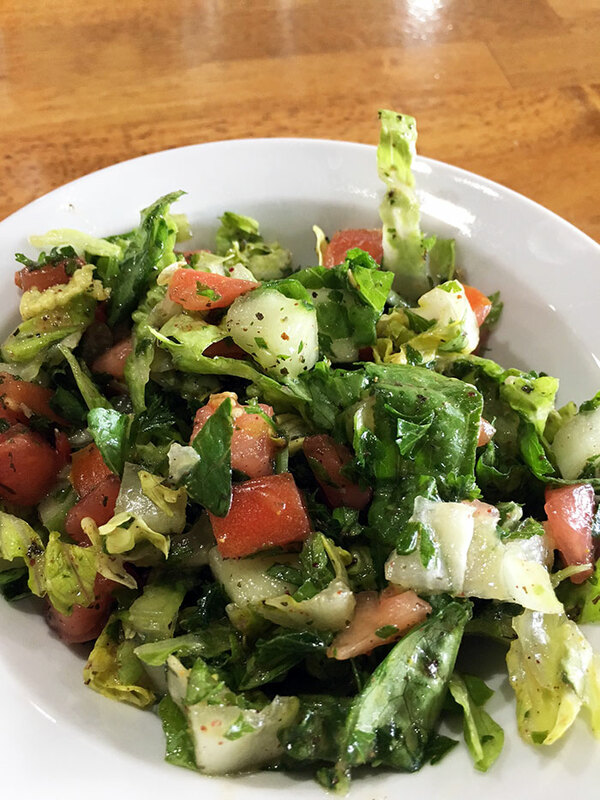 You’re going to love the house salad. Then, out comes the chicken kebab with vegetables and rice. You can substitute for white rice, but don’t do that. Hot sauce and white garlic-based sauce make for an A+ dipping combo. 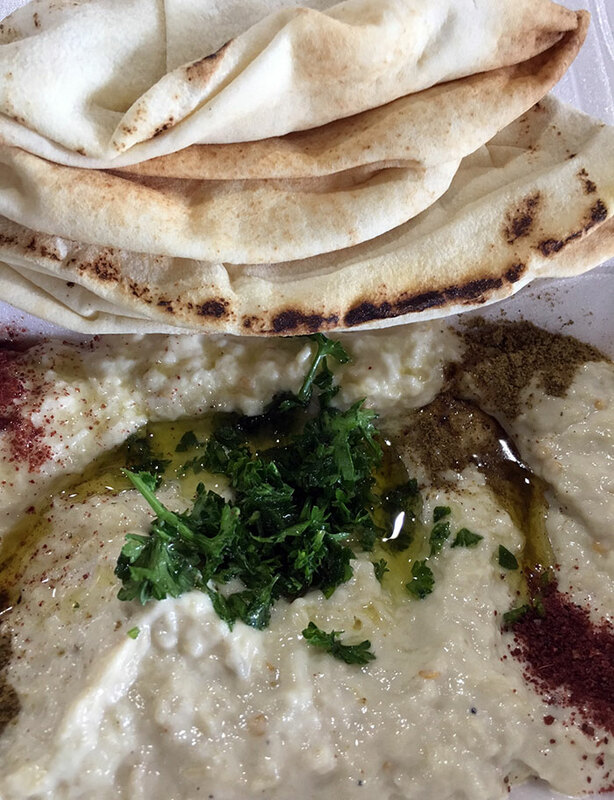 If you’re dining in with buddies, start with the Baba Ganoush or Hummus appetizer ($5 each). It’s legit. 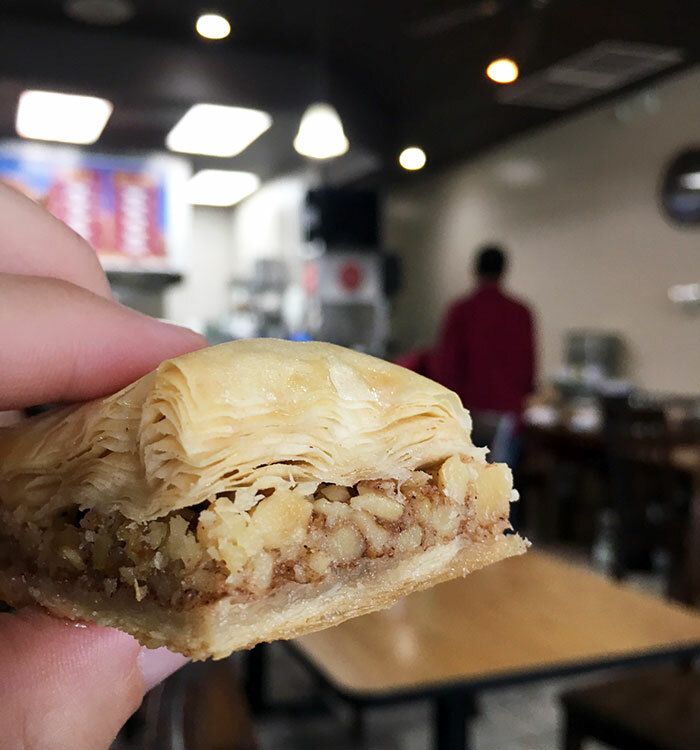 And if for some odd reason you’re not full from this $6.99 lunch special at Jasmine Grill, order their baklava for dessert.